Historic Lairdland Farm House is open by appointment for individual and group tours. 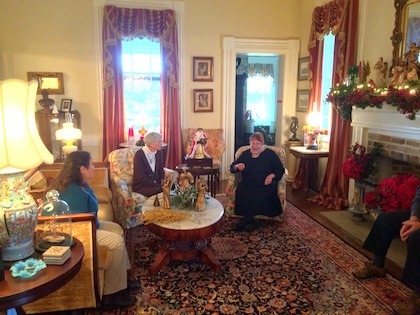 The guided tour, which is both educational and entertaining, includes a trip through 10 rooms filled with antique furniture, china, crystal and multigenerational memorabilia of the owners’ families. 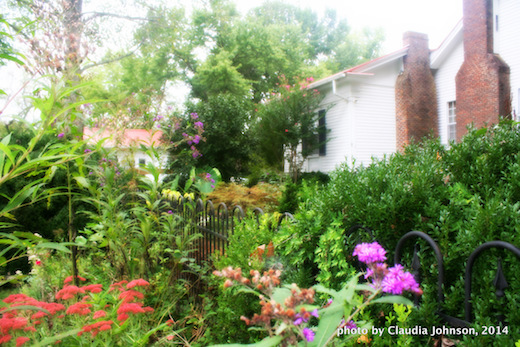 Also on the tour is access to the gardens, courtyard and Traveler’s Cottage. 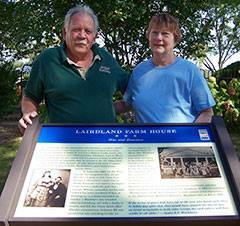 Following several years of major restoration work, in May 2005 Lairdland Farm House owners Don and Bennita Rouleau were awarded a Certificate of Merit by the Tennessee Historical Commission for preservation and restoration of the historic property. 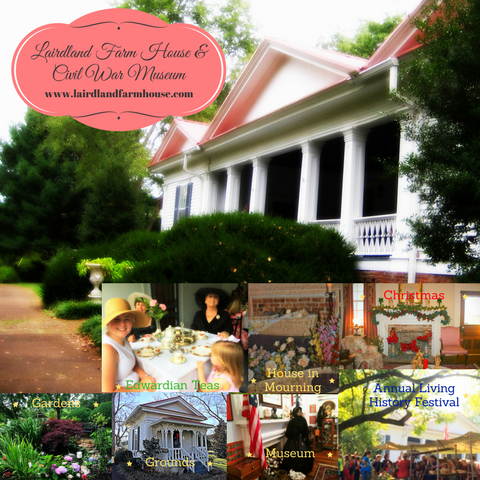 Listed in the National Register of Historic Places since 1995, in 2008 Lairdland Farm House was the second site in the state designated as an official stop along the Tennessee Civil War Trail. 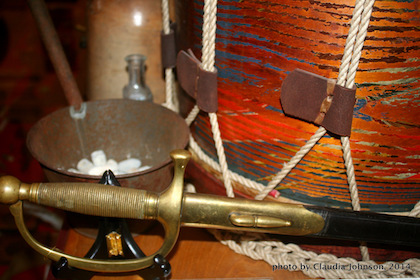 Included in the tour is a visit to their Civil War Museum, which contains an extensive and comprehensive collection of both Union and Confederate artifacts. 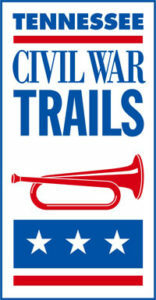 Don Rouleau, who is a life-long student of the Civil War, will gladly share his knowledge of the displayed articles as well as his perspective of this major American event. 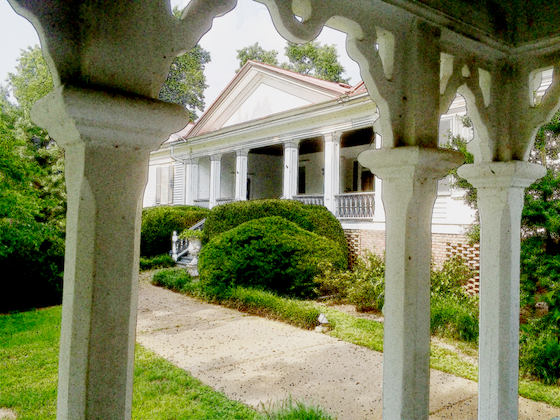 Tours for individuals, groups and school classes may be scheduled in advance for any day of the week between 10 a.m. and 4 p.m. To schedule a tour of Historic Lairdland Farm House and to get detailed directions, please call 931-363-2205. There is an admission fee. The house is not handicap accessible. A private tour or a group tour is conducted by arrangement by Lairdland’s owners. 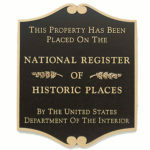 The home is filled with collectables, antiques, art and history. For more on the history, visit here. A portion of Lairdland Farm House has been into a museum filled with artifacts, clothing, military weaponry and equipment and numerous other pieces from his extensive private collection containing both Union and Confederate articles. 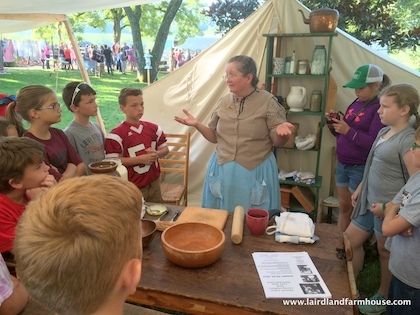 Throughout the years a variety of special events are hosted by Lairdland Farm House. Follow us on social media and join our mailing list to get full details and receive special invitations. Sometime before 1850 two wooden outbuildings were added to the front lawn. Their architecture is Victorian. These outbuildings were used as Travelers’ Rooms designed for the use of people traveling the roadways and needing lodging for the night. If a candle was lit in the window, the traveler knew the room was unoccupied and he could spend the night there. At daybreak the traveler would leave behind whatever gift he could in payment for the night’s lodging. One of the buildings was moved to the back of the house and made into a storeroom. Lairdland Farm House is situated to take advantage of prevailing breezes and with twelve foot ceilings, wide hallways and front windows, also called jib windows, that can be raised to walk through, there is a constant cooling air flow through the home. Originally the house was Federal design consisting of a large hallway with two square rooms on each side, a kitchen and dining room in the basement and two upstairs bedrooms. 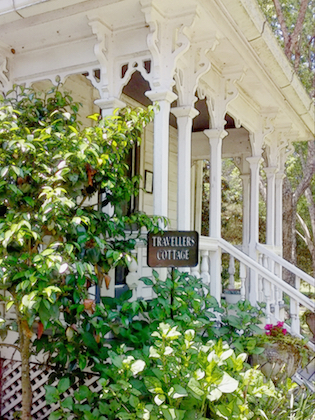 Two front Bachelor Rooms, the large covered front porch with wheat sheaf railing and three pediment roof were added in the 1840s by George W. Tillery, a local craftsman. For details and more photos of the architecture, click here. Take a quiet walk through our gardens. 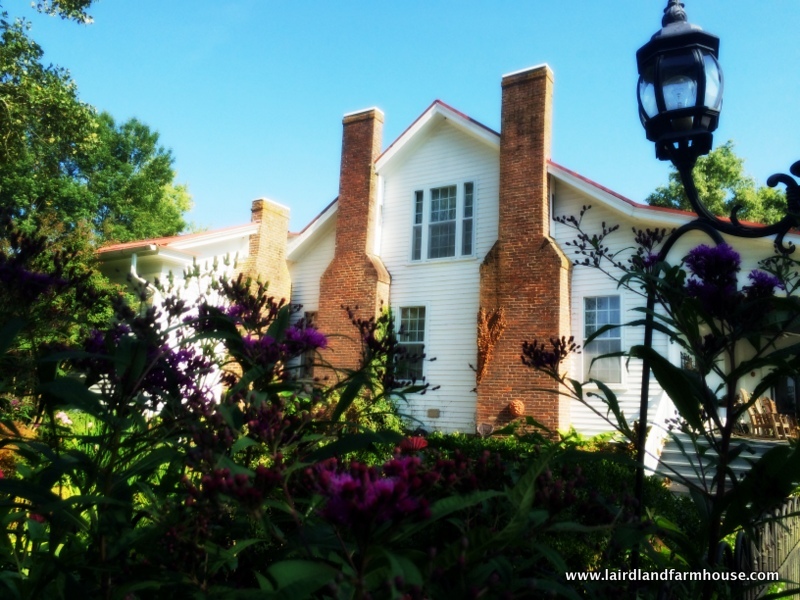 Gardening at Lairdland Farm House is a constant evolving and growing endeavor. Surrounding the Victorian cottage are varieties of hydrangeas. Their profuse summer blooms brighten the shade and make handsome dried arrangements. 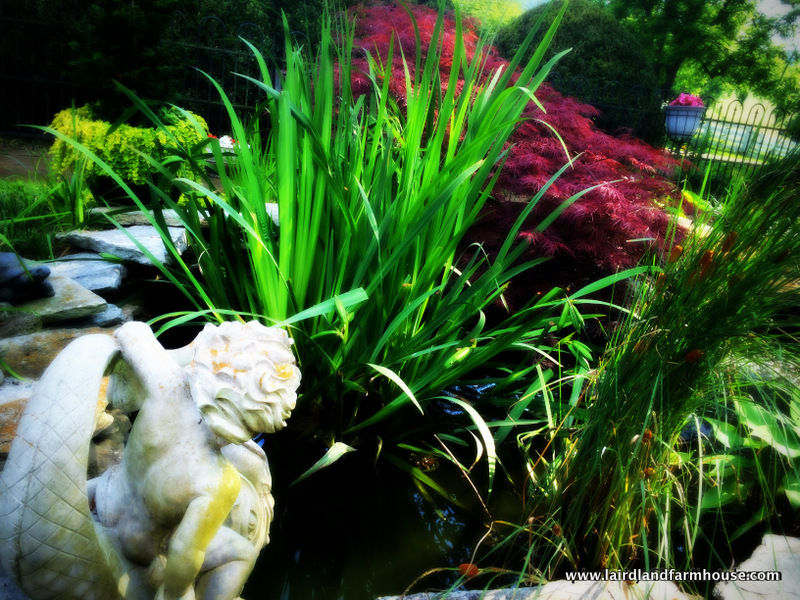 The sound of water spilling over rocks into the ornamental pool adds to the charm of the courtyard while Confederate jasmine vines, gardenias and fall blooming ginger lilies perfume the air. Read more about the gardens here.